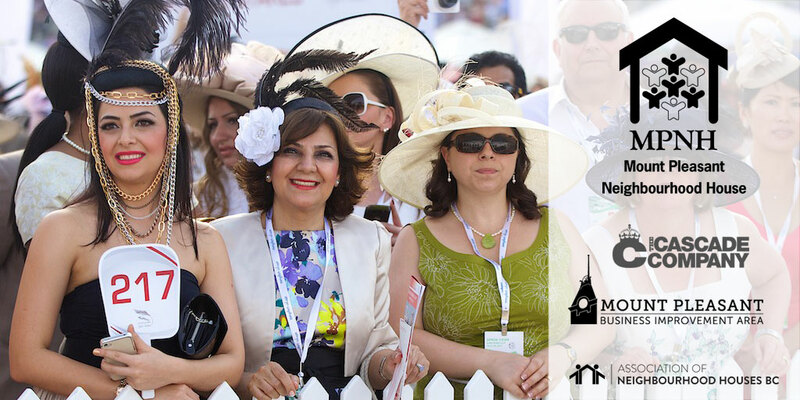 Join us for an evening of virtual horse-racing, a silent auction, and prizes for best hat, best-dressed, and more! Buy tickets in advance! The cost is $55 at the door. Bring your toonies for $2 bets and drinks. Bring cash, cheque or credit cards to purchase silent auction items and raffle tickets. 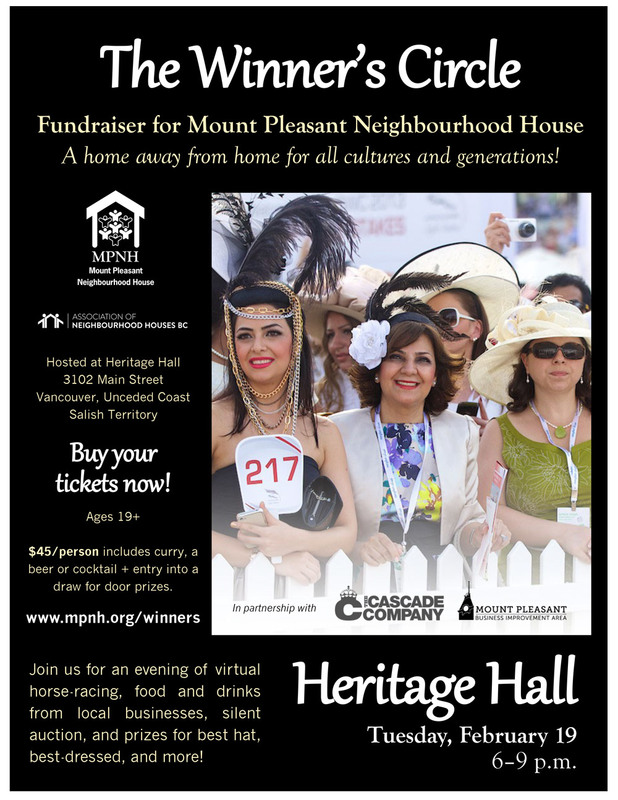 All proceeds will support Mount Pleasant Neighbourhood House—a home away from home for newcomers and neighbours from 40+ countries, many first nations, all walks of life and every generation. Curry, snacks, beer and cocktails will be provided by local businesses like The Cascade Company and the Mount Pleasant Business Improvement Area.